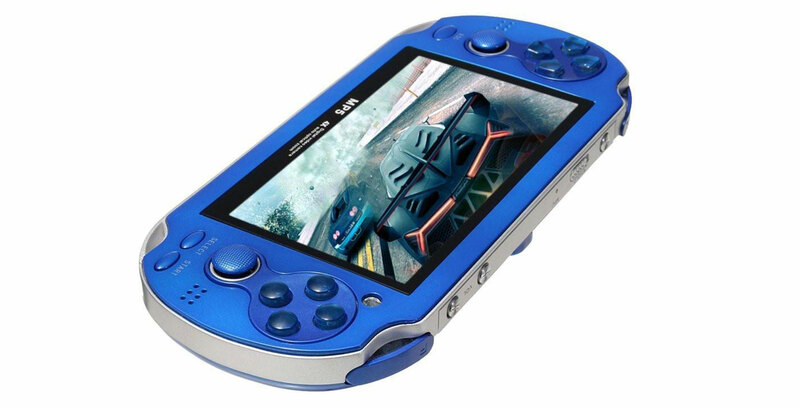 Not to be discouraged by the legal threats surrounding his initial illicit rip-off consoles, rapper Soulja Boy (DeAndre Cortez Way) is back at it again with a new system that looks like a PlayStation Vita but that features the internals of the now classic PlayStation Portable. Though the console looks like a cheap PlayStation Vita, the ‘SouljaGame Handheld’ features a 480 x 272 pixel resolution, putting it more in line with the PlayStation Portable. The console is listed at $100 USD (roughly $132 CAD) through Soulja Boy’s aptly named SouljaWatch website. Similar to the rapper’s now defunct other knock-off consoles, these are just systems that are readily available on websites like AliExpress being resold for significantly more money. For instance, various publications have reported a company called Onleny makes a similar console for $33 USD ($43 CAD). Soulja Boy is offering his console for roughly four times the price. Similar to the situation with Nintendo, it’s likely only a matter of time before Soulja Boy finds himself in legal trouble once again. Unfortunately, it looks like the SouljaGame Handheld is currently sold out. The SouljaWatch home page also features yet another ‘SouljaGame’ console that looks like an Xbox One with strange PlayStation 4 controllers. The game system’s listing states that it features “800+ pre-installed games,” including titles from the NES, SNES, GBA and more. Clicking on the link navigates to an out of stock message on the SouljaGame handheld system listing. SouljaBoy recently removed all emulator consoles from his website stating that he had to “boss up,” indicating that perhaps he found himself in some level of legal trouble. Along with the SouljaGame console, SouljaWatch also sells knock-off Beats headphones, SouljaPods and even a fake Apple Watch called the SouljaWatch.